After a premature snowstorm in October, 2011 which caused widespread devastation (Read my post: “Every natural event has a meaning and purpose“) almost of the whole of New Jersey state has been snow-starved till 23rd of December 2011, dashing the hopes of getting a much coveted “White Christmas”. In addition, the skiers are hoping – rather praying for a quick snowfall before X-mas. 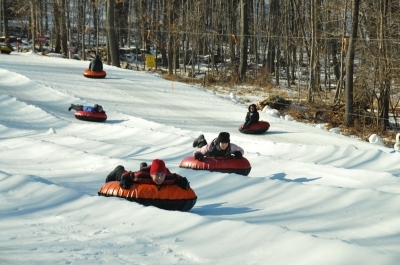 At N.J. ski resorts, warm winter threatens snow-centered business. Without cold or snow, not many skiers will be headed to the slopes during the holiday stretch, when resorts usually make 10 percent to 15 percent of their revenue. Hence they are trying to rig up man-made snow to woo skiing customers!